When looking for a supplier, factors take more into account than reliable delivery of products. In response, braking brand Textar has produced the Autoview and Brakebook online solutions to cater to this demand. As technology continues to advance across the sector with an array of brands to choose from, today’s motor factors expect more than just quality parts from manufacturers. This broadens the role of the manufacturer, as customers have come to expect additional support and a quick turnaround on orders. Textar understands the importance of this and is committed to providing value-added services to its factor network. Demonstrating this, the development of its web-based services, Autoview and Brakebook, have been hugely beneficial to motor factors. For example, analysing vehicle car parc data has traditionally given factors a ‘guesstimate’ of what they should be stocking, using a national average. However, Textar’s Autoview gives a more accurate overview of ‘actual’ vehicle car parc data based on specific delivery areas. The Autoview software is linked to Textar’s catalogue data and provides local information by analysing the parc at the postcode level. The information is combined with sales data to produce a stock profile specific to the local area. This not only provides the factor with much more accurate information on the vehicles in its catchment area, it also ensures the correct parts will be in stock ready for the garages’ needs. 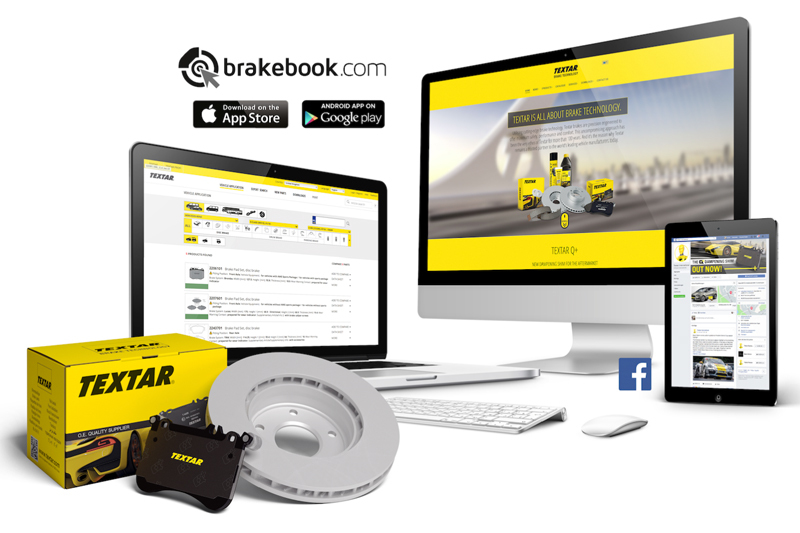 Complementing Autoview is Brakebook, Textar’s web-based parts catalogue, which works by allowing factors and garages to find parts quickly and easily, online or through an app. The catalogue is designed to give factors and garages a regularly updated log of product information that can be tailored to their individual needs. The system includes a vehicle registration look up, product catalogues, detailed drawings and a brake pad scanner. A service such as this helps to ensure motor factors have the parts their customers need quickly and easily, even on the go. As the demand for fulfilling orders and providing products quickly continues to grow, motor factors and garages have always looked to manufacturers to supply quality goods that are easy to fit. However, as technology advances across all sectors, people are looking to find quicker, easier and faster ways of purchasing products, and the automotive industry is no exception. This is where manufacturers can add a real benefit to distributors, by investing in digital capabilities that help to make their lives easier. With this in mind, it’s crucial that manufacturers develop tools that align with customer buying habits, which is why Autoview and Brakebook have been developed and continue to be so successful, as both systems work together to take the headache out of assessing and finding brake parts; saving both time and money.